How do I create a repeating event in the calendar in Wealthbox? 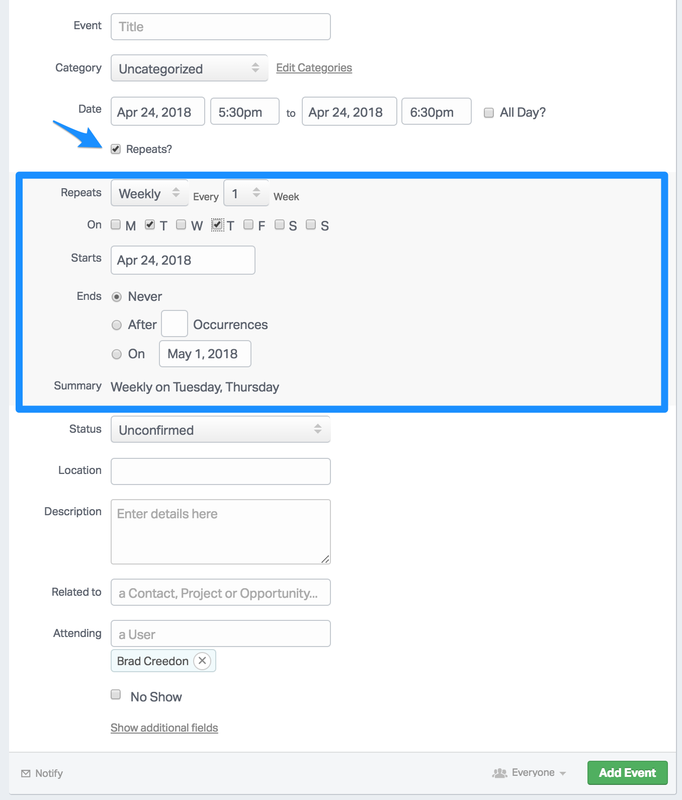 Click on “Add an event. Check “Repeats” which expands options to select. Select the criteria for your activity. For example, you can choose to repeat the event weekly on Tuesdays and Thursdays. Note the "summary" of when your event will repeat. Note: Updating/deleting repeating activities will update/delete all occurrences.